A fundamental premise of At Ease With the Media is that extensive practice should be incorporated into all media training workshops—whether a full-day, a half-day or one-on-one coaching. More practice builds confidence and helps participants put the media training theory they learned during the online program into practical action. Ideally, each spokesperson is interviewed four times during in-person training, twice for print purposes and twice for broadcast. This can be achieved in a full-day media training workshop with eight participants, a half-day workshop with three participants, and one-on-one in less than two hours. One-on-one training can also be offered via teleconference or Skype. 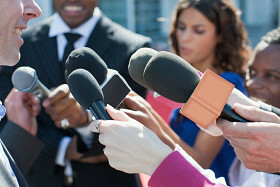 No other media training program can prepare your spokespeople more effectively.